My dear hair salon that I have been ambassador for and cutting my hair at for three years now. So super happy to be at their celebration dinner a week ago. They had it at Nio Rum, a venue in Stockholm and they had put together such a lovely dinner salon for 50 guests/influencers. 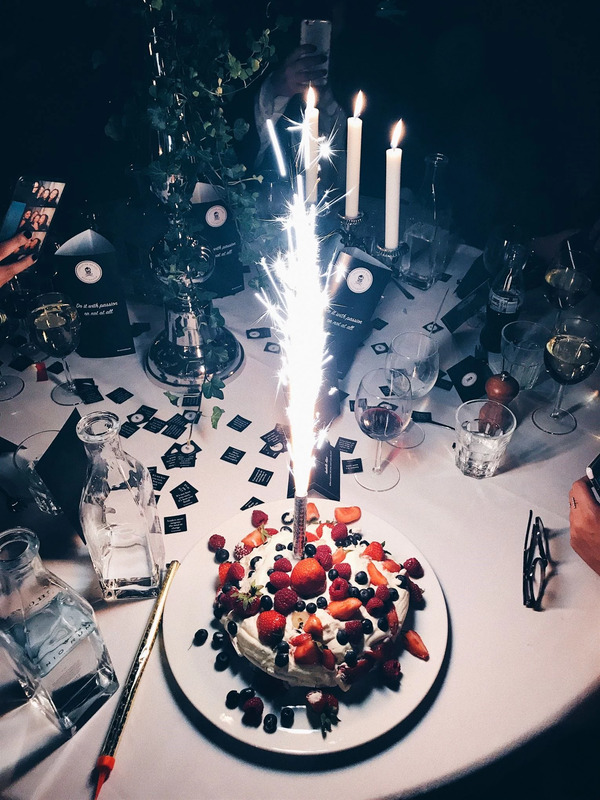 It was a 3 course dinner with so many fun surprises such as a standup comic, DJ, photobooth, speeches and cake and standing and dancing on the chairs. Flames and confetti ended the night with everyone laughing and having such a fun night together. I got placed next to an old friend from my adidas collaboration I did last year and it was so much fun to catch up with her, we couldn't stop talking haha. 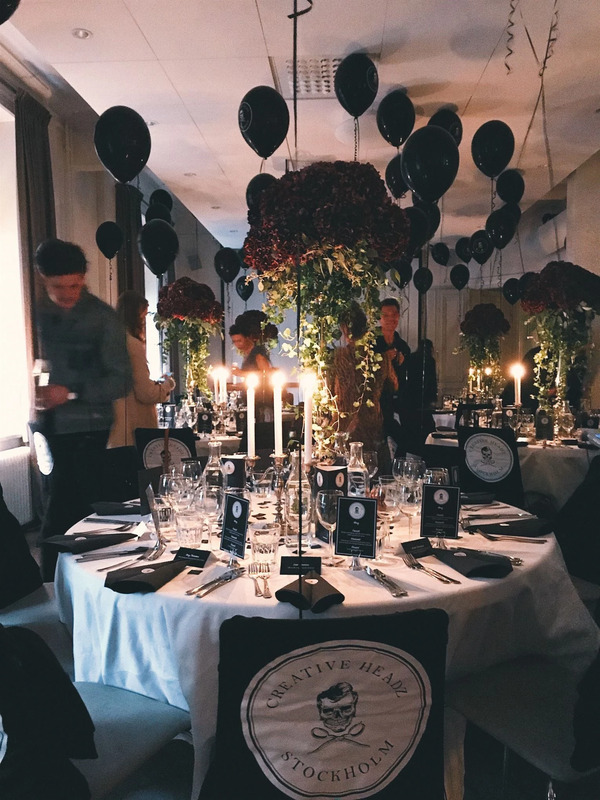 If anyone was looking at my stories from this evening one week ago, might saw the party that evolved after the dinner and the singing Andreas Wijk á la helium balloons! Thanks to my cuties at Creative Headz for an awesome night.